Our blog friends, Melissa and Stacey are currently doing a series called Sew In Tune. The idea is to sew something with a song as your inspiration. My Sew In Tune inspiration song was “My Funny Valentine” by Frank Sinatra. The line You make me smile with my heart is just perfect for my sparkle-loving, lovey girl. 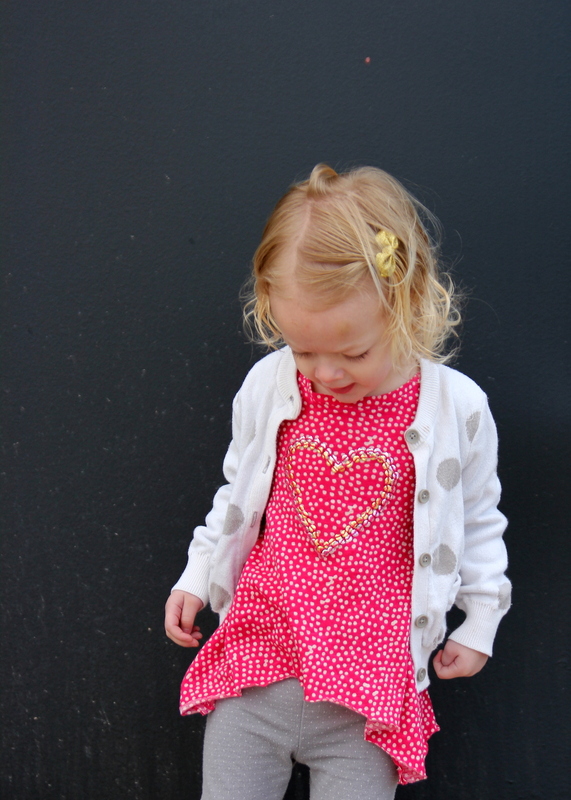 She has a thing for hearts and sparkles (and pink! )… my funny Valentine indeed. 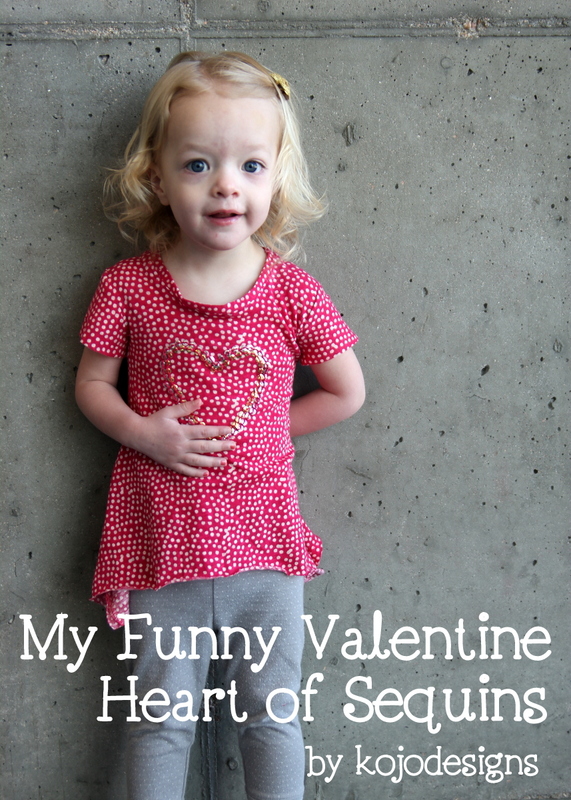 Want to make one too, for your Funny Valentine? 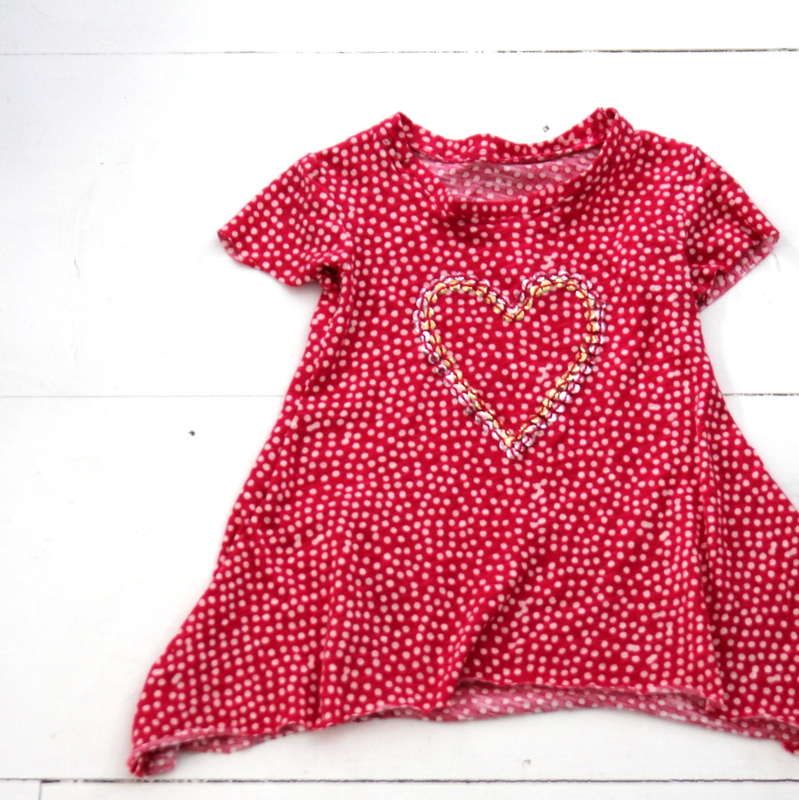 Start with a plain shirt (I sewed this one using Figgy’s Banyan Tunic Pattern… yep another one). Cut out a paper heart. Using a fabric pen, trace onto your shirt. 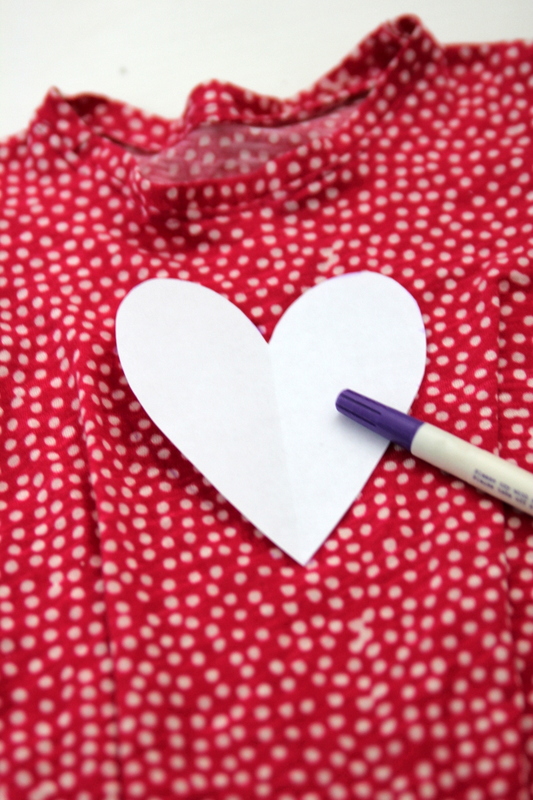 Start sewing a line of sequins along your traced-heart. 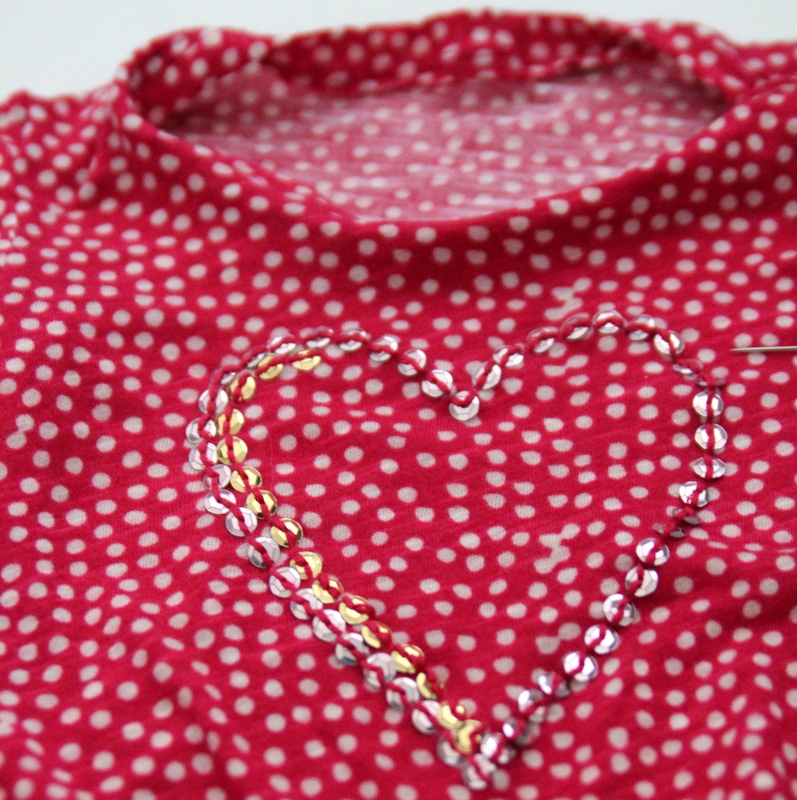 After you finish stitching the first heart outline, add another heart of sequins along the inner perimeter. 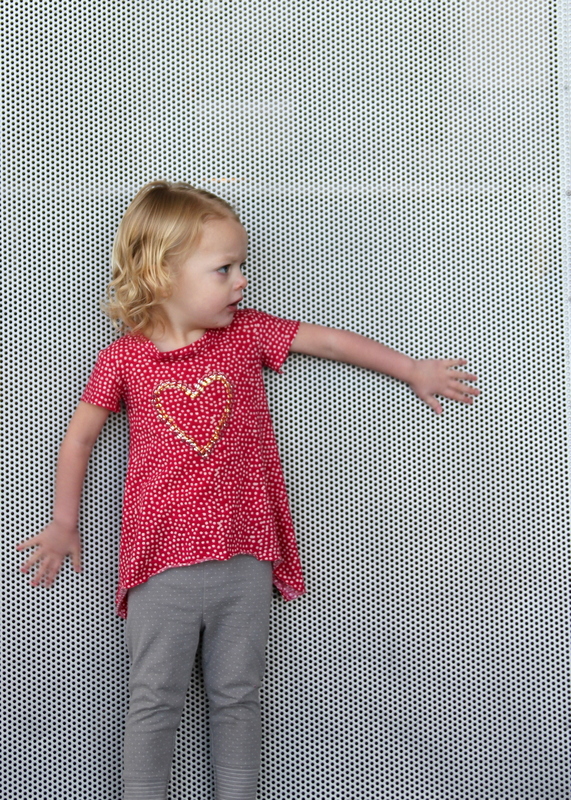 Once both hearts of sequins are finished, give to your funny valentine- the one who makes you smile with your heart. 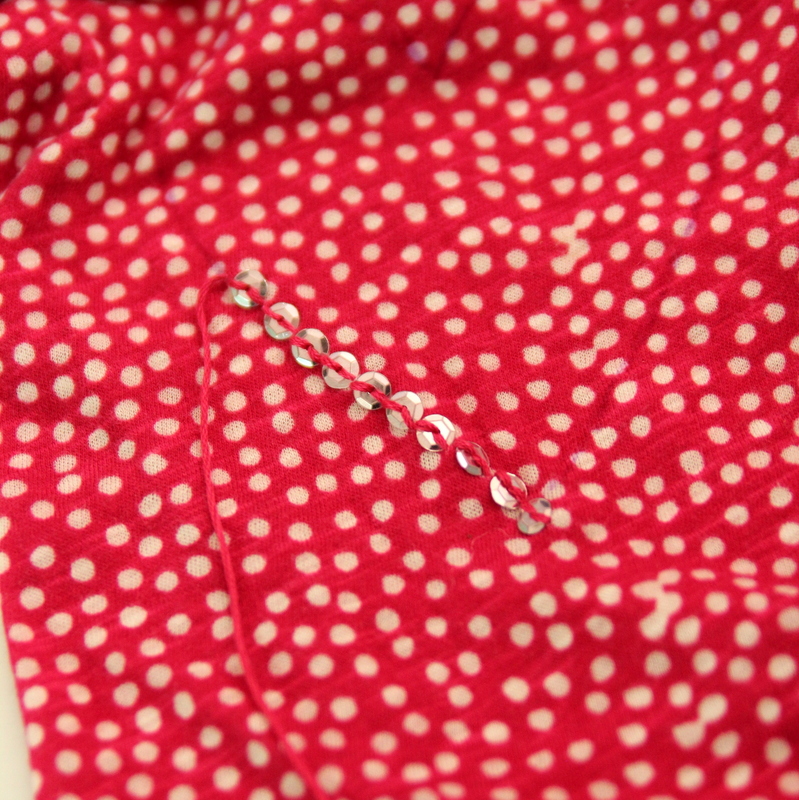 Be sure to head over to Melly Sews and Boy, Oh Boy, Oh Boy for more Sew In Tune goodness! love the shirt. but i love the chipped nail polish little miss is sporting even more! it’s such quintessential “little girl” to me. Wanting to learn more about sewing sequins and beads…thanks for this idea! 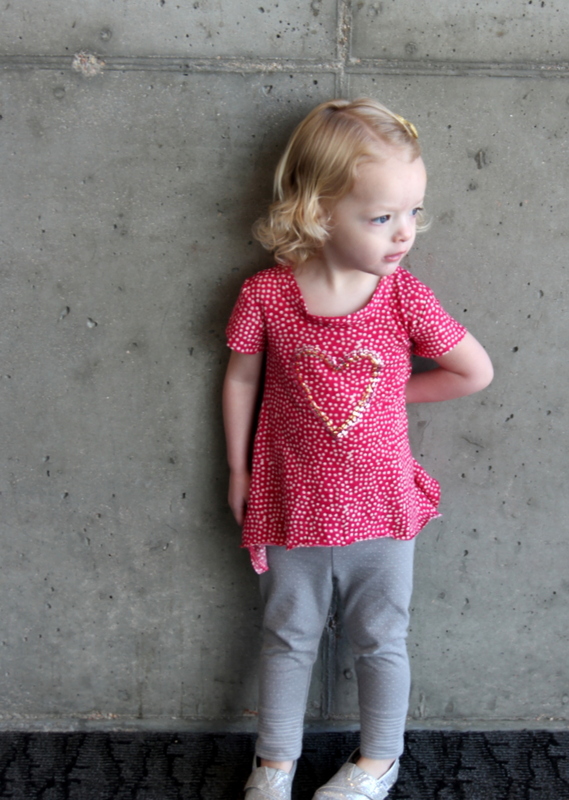 I got the Banyan Tee pattern in the Sew Fab bundle and can’t wait to try it! 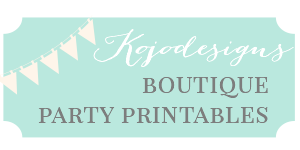 It looks adorable on your little one!